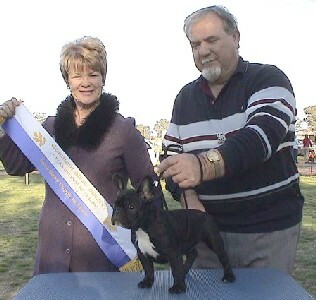 Susan & Neil Weeks at the 2013 Yass District Kennel & Training Club Christmas Party with Club President Laurie Edwards. 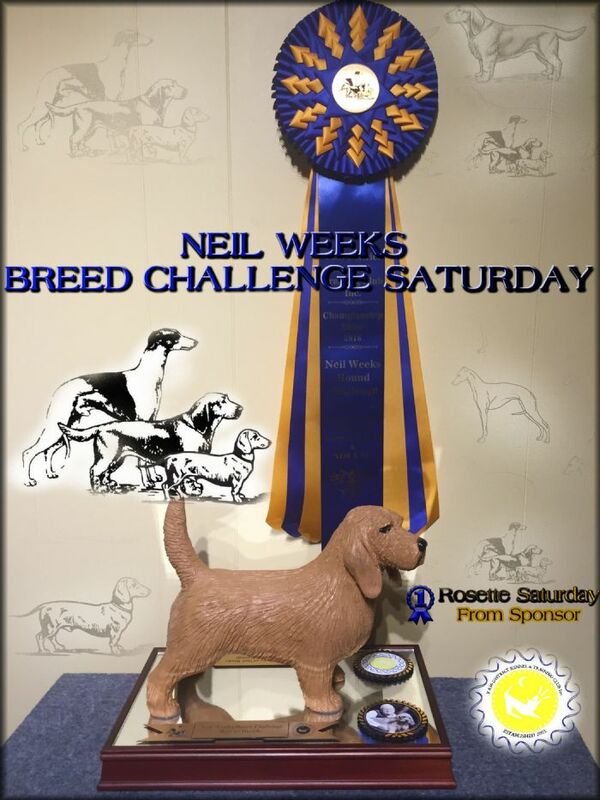 Basset Fauve de Bretagne, Whippet and Standard Smooth Dachshund, the best of each breed will run off for best Neil Weeks Hound Challenge Trophy after the completion of the Hound Group, in the Hound Ring. 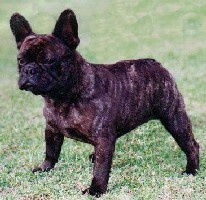 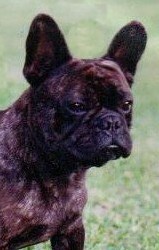 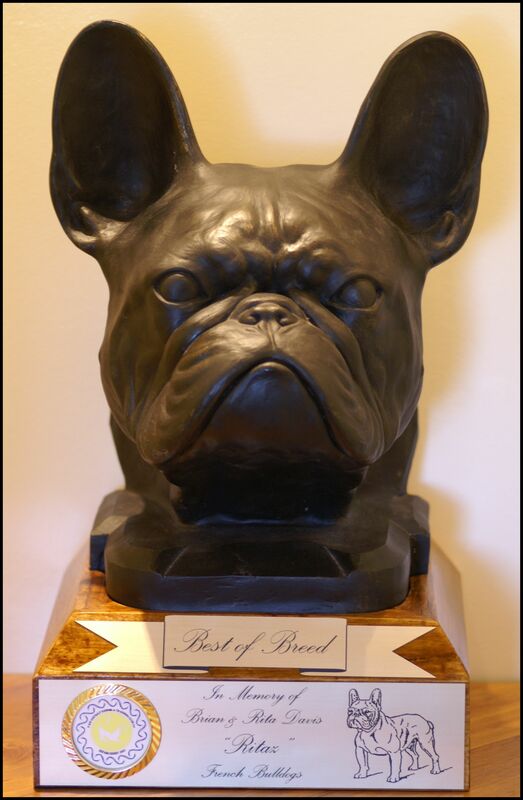 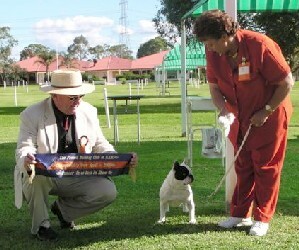 If one of the breeds wins Best in Group or Runner Up Best In Group, they are the automatic winner. 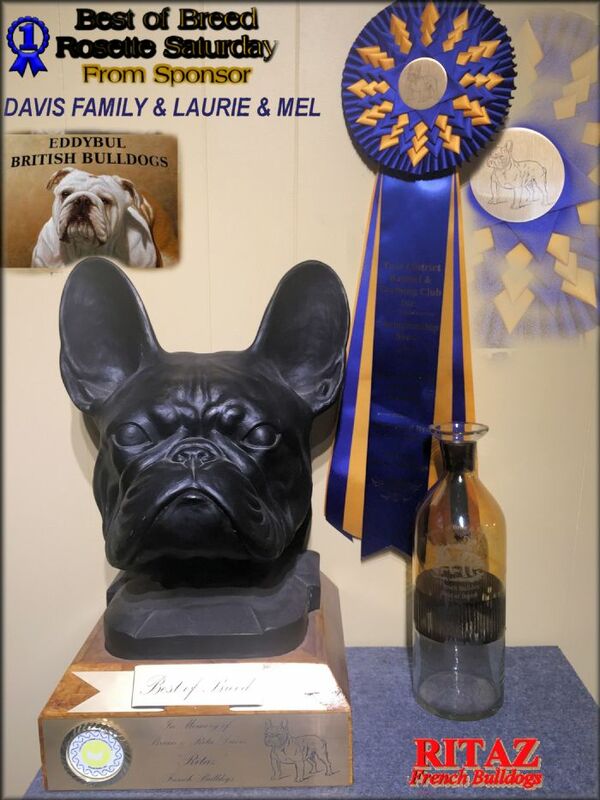 Trophy donated by Carla Day - Kivamynk Norwich Terriers. 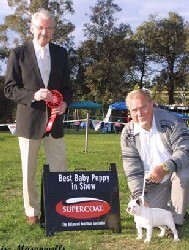 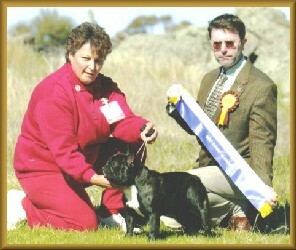 Australian Grand Champion RITAZ SON OF MAC "SONNY"
Davis family, Laurie & Mel Edwards ~ Eddybul British Bulldogs & YDK & TC.